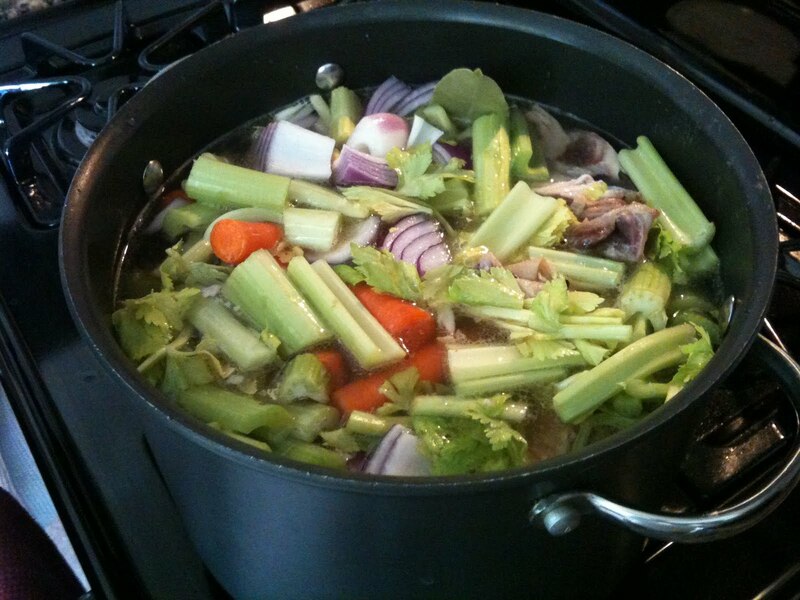 Chicken stock simmering on your stove top all day will make you relax. The aromas are subtle and lovely, they slow you down a bit so you can savor the nectar brewing. 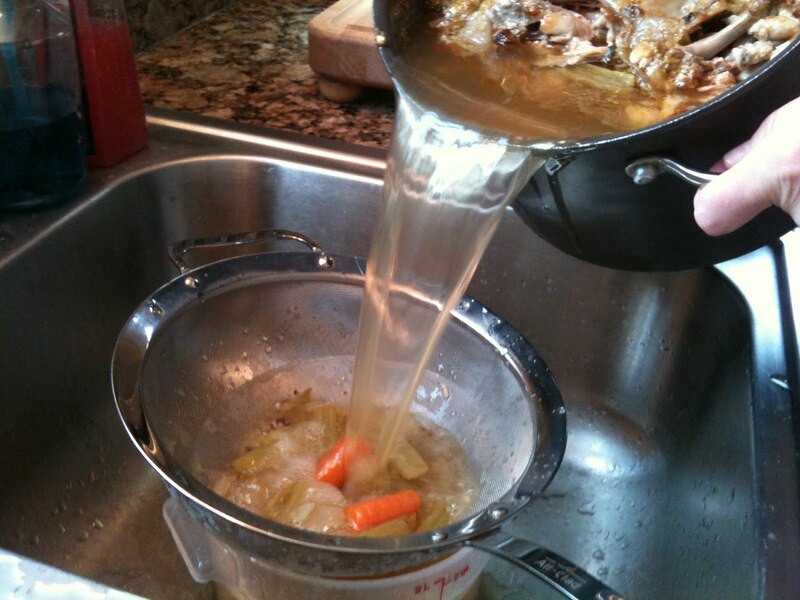 My method for cooking chicken stock is simple. I cook at least 3-4 whole chickens every month. I freeze all my chicken carcasses, once I have at least 2 or 3 frozen, stock is on. 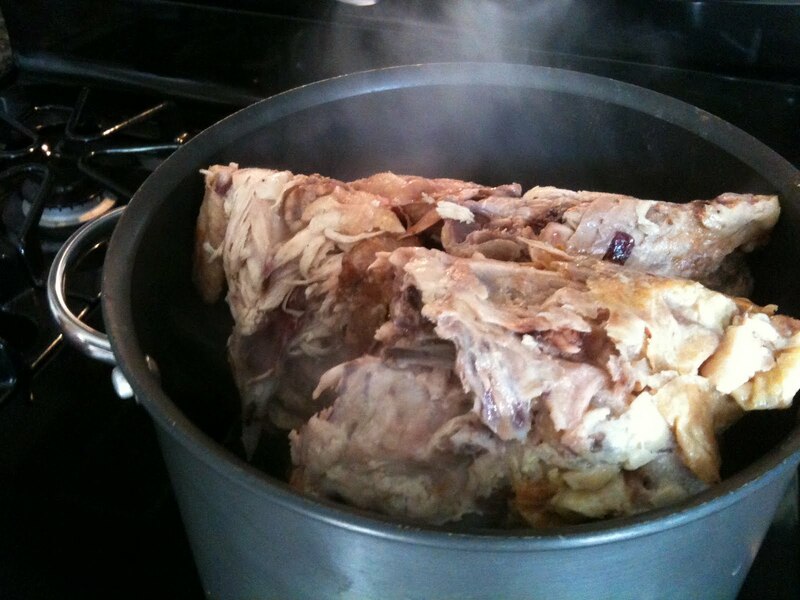 Fill a big pot ( 8 to 10 qt ) with your frozen chicken carcasses and water to cover. Add 1 big bay leaf, 1 teaspoon each of black and white peppercorns. Simmer for hours at least 3, better for 4/5 hours. 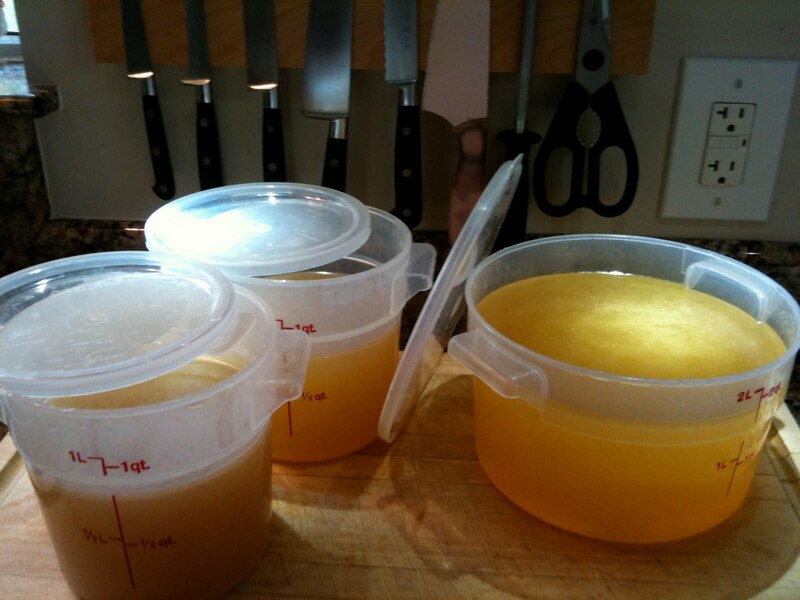 …containers for either using or freezing. Allow to cool completely before frig or freezer. 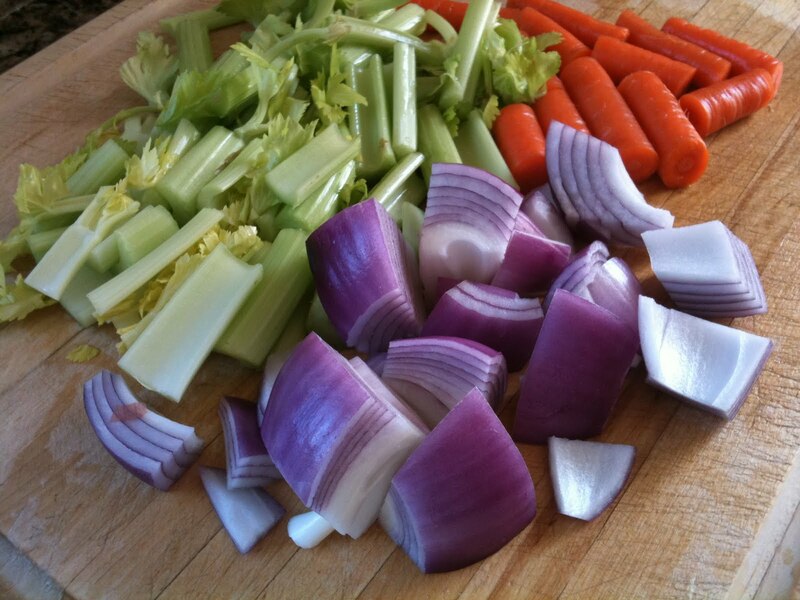 This is the nectar with which you can make endless delicious dishes. Always have it with you. Photo note: Because I’m a total kitchen geek, check out my new magnetic knife rack. Love it !!! Thanks to my Jim for installing it. This entry was posted in Stock by Sarah. Bookmark the permalink.